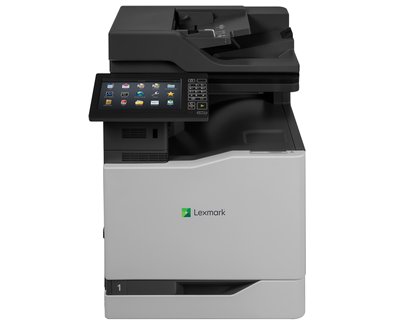 The Lexmark CX825de color A4 MFP combines print speed of up to 52 pages per minute, ease of use, professional color and configurable software solutions with available finishing options. A 1.6 GHz quad core processor with 2 GB of standard memory helps the CX825 Series handle complex jobs, while print speed of up to 52 ppm allows users in high-volume print environments to get fast color output. Even large color print jobs complete quickly so users are more productive.